Complete with a list of usernames for your users to click on if they think typing it out each time is too much of a hassle. (Of course, this has security implications, but that’s negligible in a personal setup) So I wanted to test out sbopkg. Last time I reviewed Slackware many of the comments were about how it was not a pain that Slackware did not resolve dependencies, but rather a virtue. I see and understand their points, but I respectfully disagree. So mfillpot’s suggestion of sbopkg being like apt-get intrigued me. I went to the site he linked to. As I looked at the site I wondered if I wasn’t getting into a chicken and egg scenario. After all, how would I install this program for installing all my others? I checked the documentation part of the site. Strangely, no info on how to install. Perhaps if I just download the source or package. This turns out to be as easy as installpkg and the file I just downloaded. 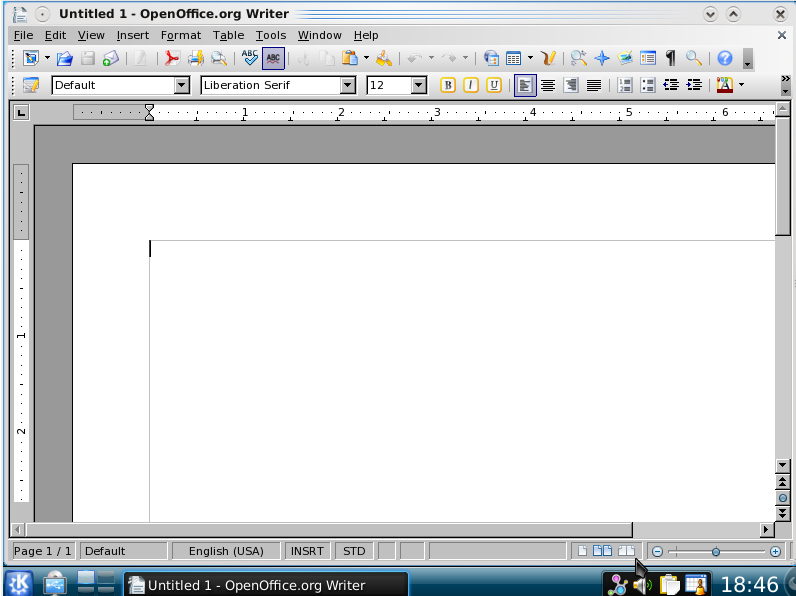 Now to see how easy it is to install OpenOffice.org. 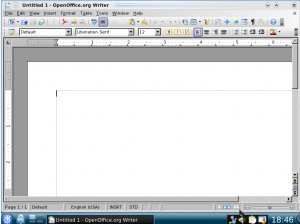 so I went into search search and searched for OpenOffice.org. There were a bunch of options for those who are technical enough. I just went straight for build. I hit start build and off it went. It downloaded and proceeded to build the package. Then it was done. It didn’t take that long considering it was in a VM and I was doing a bunch of other stuff on my computer at the same time. And I didn’t see it anywhere in the menus and couldn’t launch it in the commandline. I was about to come back to the blog and talk about how, after so much promise, sbopkg was crap. But then I remembered that sometimes when I would install stuff in FreeBSD I would have to log out and log back in for my terminal to know about it. So, to be on the safe side, I rebooted the VM. And voila! OppenOffice.org! It was in the office menu where it belonged and all was right with the world. 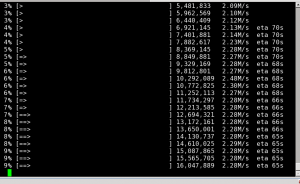 So, this puts Slackware up a little higher in my mind. Whereas before it was a clear “just use Zenwalk” for most people, I think that with sbopkg, Slackware becomes just that little bit more user friendly. I’m not saying it’s at the same level as Zenwalk yet. 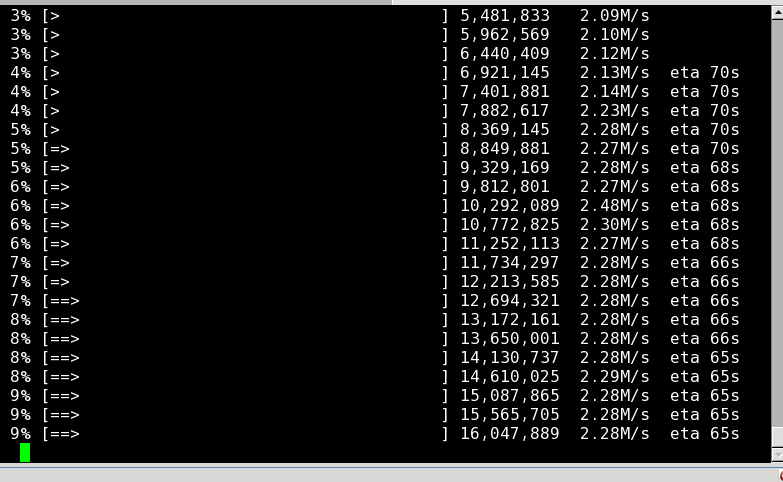 I mean, sbopkg was all on the commandline, for example. But whereas before I think I would never have had a Slackware system, sbopkg makes it a possibility. you don’t even have to use a tool that builds packages from source tarballs! At least not all the time, especially when you need a big software package like Gimp or Inkscape. Slackware had third-party (binary) package managers since forever…. point being you could have setup a perfect Slackware system much sooner. One of the older ones is “swaret”, and it, and some others can even track dependancies. When you combine them with big user repositories like slacky.eu and linuxpackages.net no software is out of your reach. Thank you for testing my recommendations from your last post and sorry for the delay I explore your blog through google alterts and will now start watching through RSS.